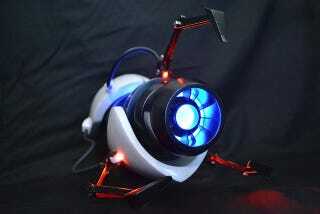 If you ever looked at 2009's incredible replica Portal gun and thought "ooh, I'd like that", now's your chance to put your money where your mouth is. Custom replica specialists Volpin Props, whose amazing work we've featured before, are putting one of these babies up for auction as part of this year's Child's Play charity drive, meaning your money isn't just going towards securing a replica Portal gun, it's going to a good cause. For more information — and to check out a thorough guide to how Volpin put one of these together — hit the link below.